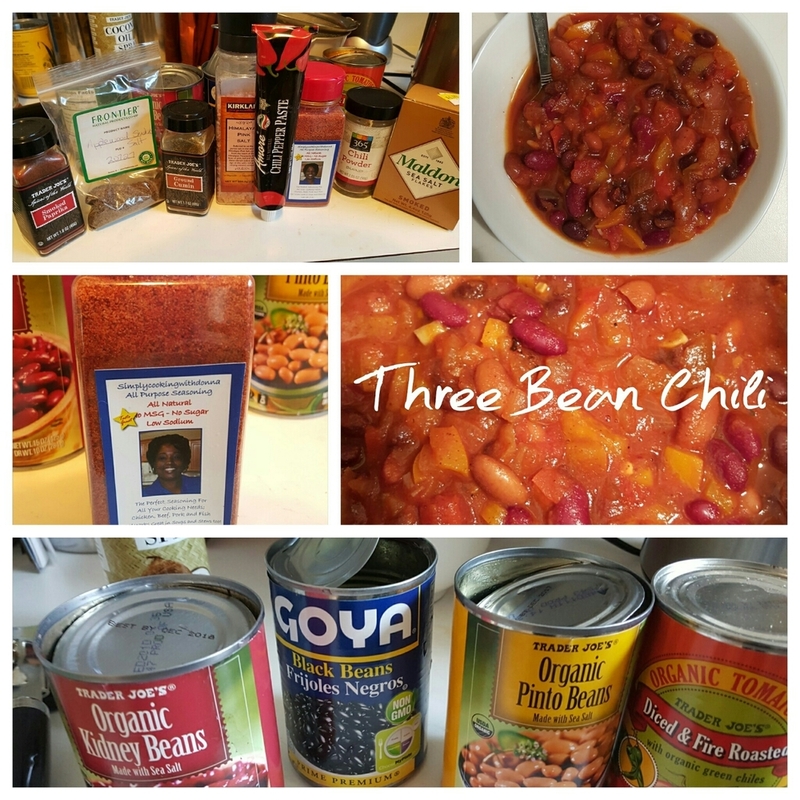 Three Bean Chili Recipe for a cold winter's day! First, sautee onions, peppers and garlic until translucent. Next, add beans and diced tomatoes. Third, add seasonings starting with salt and chili powder. Next, add tomato sauce and then add more seasoning to taste. Once you get your preferred smoky, spicy, chili taste slow cook for 2 hours or until flavors become aromatic and meld together.